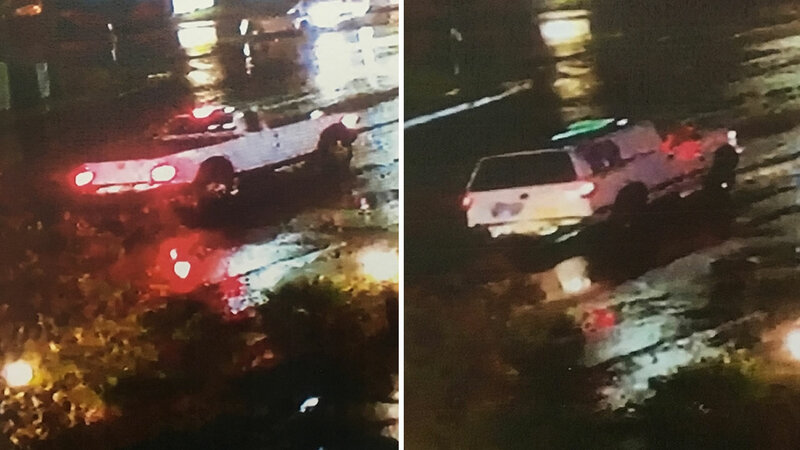 MILLBRAE, Calif. (KGO) -- Detectives in San Mateo County need the public's help identifying two trucks at the scene of a deadly hit-and-run. Deputies say Lillian Garcia was hit around 7:10 p.m. Saturday on Rollins and Adrian Road in Millbrae. She was found in the crosswalk and later died at San Francisco General Hospital. Deputies say two drivers could be witnesses. The first vehicle was described as pickup truck, possibly a Chevy, with a camper shell and business info on the tailgate and rear of the camper shell. The second vehicle was described as possibly a Toyota or similar white midsize king cab pickup truck with black bed line. Friends gathered Sunday to remember Garcia. "My mom and my dad, they went to go identify her body and so it was them and a couple of other friends that she had here, but there's not other family that she has here," said Neguin Anvar. Garcia was originally from Nicaragua. We're told her daughter is flying from there to bring her back home.